An 11-year-old girl recently donated her allowance money to help get bulletproof vests for all the dogs of Canton Police Department’s K-9 unit in Ohio, according to the head trainer for the unit. The donation comes after the death of beloved K-9 named Jethro this past January, Office Eric Stanbro said. Jethro died after suffering multiple gunshot wounds while responding to a burglary at a grocery store, Stanbro told ABC News today. 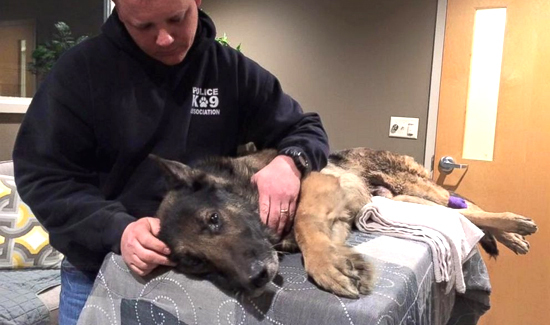 The 3-year-old German shepherd’s death was devastating to Canton P.D. Officer Ryan Davis, who had been partnered with Jethro since he was an 8-week-old puppy, Stanbro said.